କାହାକୁ କି ଜଣା, ଏଇ ସଂସାରେ କିଏ ଅଂତରଂଗ ଏମିତି? 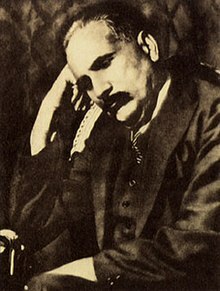 ↑ ୧.୦ ୧.୧ "Allama Muhammad Iqbal Philosopher, Poet, and Political leader". Aml.Org.pk. Retrieved 2012-03-02. ↑ ୨.୦ ୨.୧ Anil Bhatti. "Iqbal and Goethe" (PDF). Yearbook of the Goethe Society of India. Retrieved 2011-01-07. ↑ "Leading News Resource of Pakistan". Daily Times. 2003-05-28. Archived from the original on 2012-07-28. Retrieved 2011-01-07. ↑ "National Holiday November 9". Brecorder.com. 2010-11-06. Retrieved 2012-01-24. ↑ "Iqbal's pro Kashmir approach". GroundReport.com. 2009-08-19. Retrieved 2012-01-24.